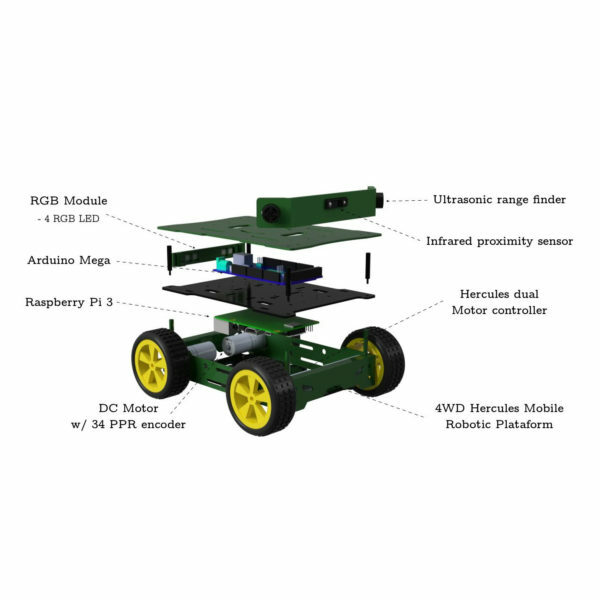 RobotCraft Bot 2017 is a limited edition of mobile robots constructed during the 2nd Robotics Craftsmanship International Academy (RobotCraft 2017). 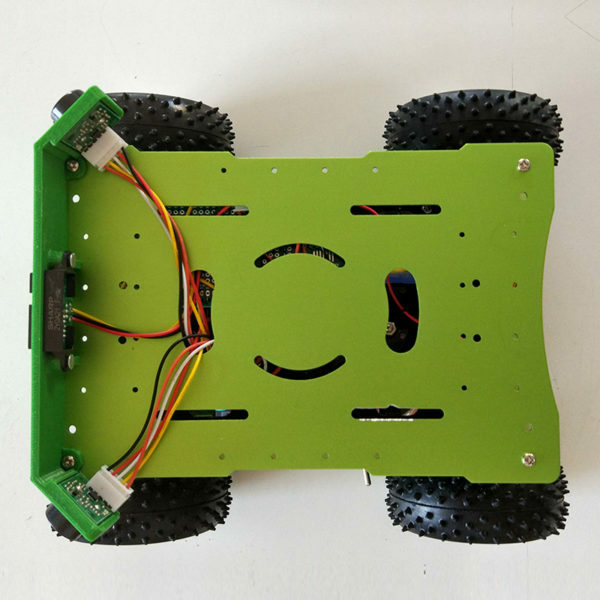 This robot is based in the Hercules platform, benefiting from the same Arduino-compatible motor controller that can consistently support the current up to 15A and driving voltage in the range of 6V-20V. 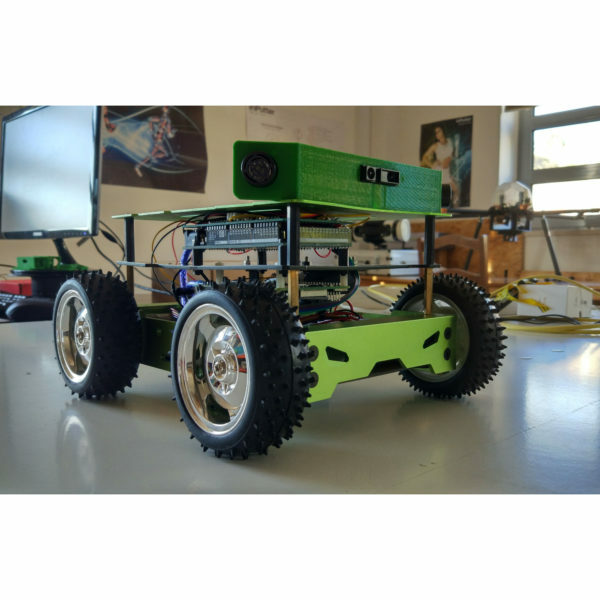 Nevertheless, this robot additional includes an Arduino Mega board so that the platform can be easily controlled using a PID controller and the 34 PPR encoders. The Arduino firmware (available as download) also allows to control 4 Smart RGB LEDs WS2812B and read measurements taken from 2 Devantech SRF02 ultrasonic range finder and 1 Sharp GP2Y0A21YK infrared proximity sensor. But this is not the only novelty: the platform is fully integrated in the Robot Operating System (ROS)! A Raspberry Pi 3 with Ubuntu 16.04 LTS installed do the honours by running the ROS Kinetic Kame distribution and interfacing with the Arduino board through rosserial. All necessary topics are available in the ROS side, making it easy to implement any AI algorithm at will – teleoperation and some few other routines are already included in the high-level ROS layer (available as download). You think this is not enough? 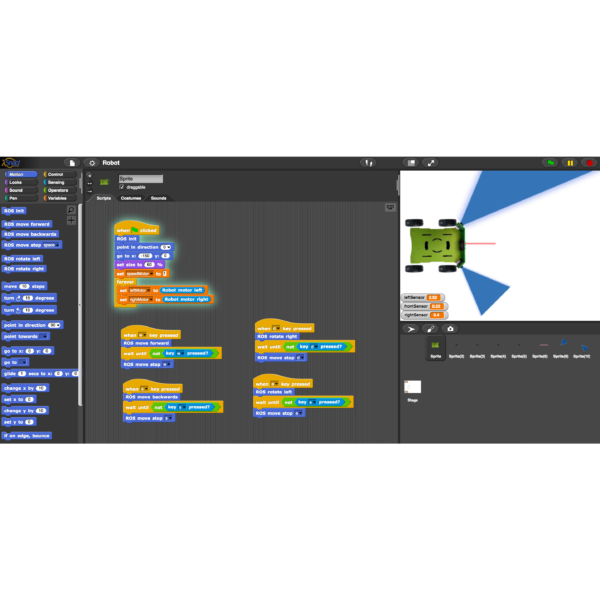 Well, RobotCraft Bot 2017 is the very first robotic platform integrated in our Snap!-based block programming platform! The architecture combines ROS standard with the Snap! visual programming language, targeting students from primary to higher education. 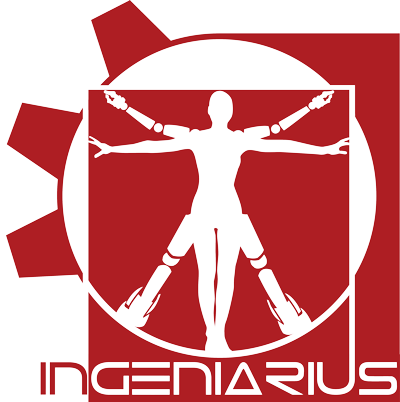 The interface runs directly on the browser, benefiting from the power of the internet to program the robot.